Wednesday morning brings us the next chapter of the World Cup for Team USA, and they’ll be playing for their tournament life. USA will need a victory if they want to advance, but Algeria’s allowed just one goal so far in two games, so it’ll take a lot of doing. A tie would still allow the US to advance, but they stop being in control of their own destiny. If they were to tie, they would need England to lose against Slovenia, or tie, but score less than 2 more goals than we do against Algeria. 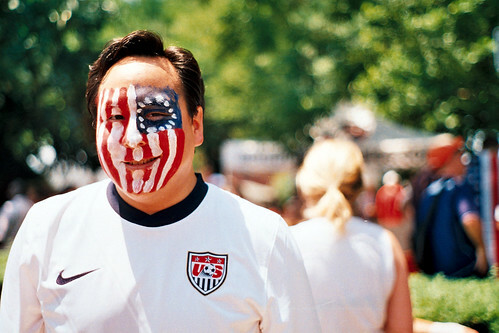 So get your warpaint on and support USA on Wednesday morning. Not sure where to get your game on? Check out our Guide to area venues. Friday I caught the match at Elephant and Castle just off 19th Street, which was a great spot to see the game. Part of the beauty of the World Cup is the atmosphere watching the game, so play hooky and cite National Team Fever. The Nats are in a slump, collectively, and in many cases individually. Their roadtrip through the midwest left a lot to be desired, in terms of results, with the team running a 1-5 record and a lackluster offense. 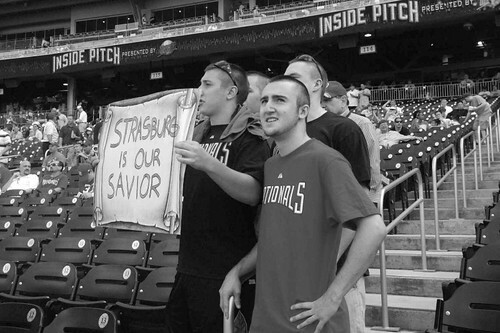 Pitching has been a bit of an adventure for the squad as well, as aside from Stephen Strasburg, Lannan and Livo have struggled in their last few starts, and the bloom is off of Atilano, as well. The Nationals have an important road to the All Star Break that started with the home series against the White Sox. Though they were swept, they now face the KC Royals, who have a worse record and are slumping just bad as the Nats. After 3 against the Royals, they’ll head to Baltimore this weekend to run the tables on the Orioles. After that, they’re down to Atlanta for a set with the Braves. The Nationals have a ten game homestand just before the Summer Classic, facing the surging Mets for four near the 4th of July Weekend, then six against the Padres and SF. There’s nothing better than a win against a rival right before a break. That’s just what United got on a quick jaunt to Seattle on the 10th. A 3-2 victory saw the offense up and about for the first time outside of RFK this season. The hot foot of Chris Pontius saw the back of the net three times. United picks up again next week with a road match against MLS foe Columbus. 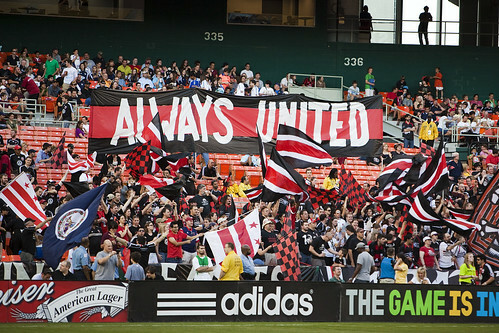 They’ll not be home for an MLS match again until mid July, so look for rarer dispatches on the Black and Red.